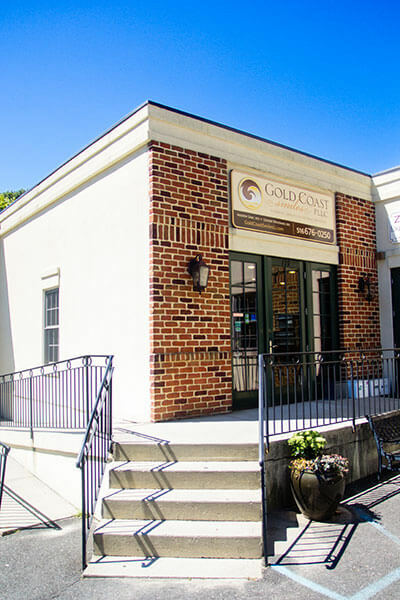 Gold Coast Smiles is located in Glen Cove, New York on the North Shore of Long Island. Immortalized in F. Scott Fitzgerald’s book The Great Gatsby, our office is in the heart of the legendary Gold Coast of Long Island where winding, wooded roads lead to charming villages and lavish historical estates. Our office is conveniently located just off of Glen Cove road, and is accessible via all major roadways. We have been servicing the dental needs of patients in Glen Cove and surrounding areas including, Glen Head, Locust Valley, Oyster Bay, Upper Brookville, Sea Cliff and Bayville for over the past 40 years.